Give this lively floral arrangement for any occasion. 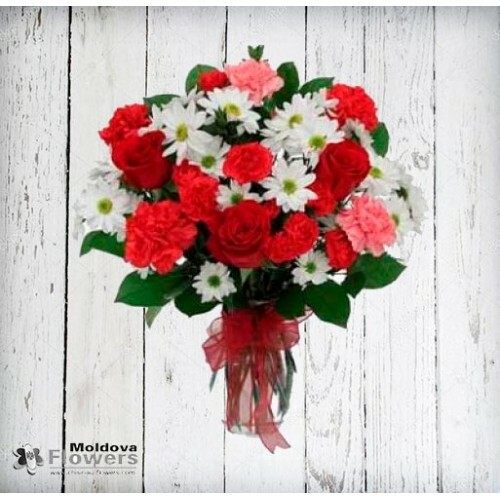 Spring-inspired white daisies with long-lasting red and pink carnations, and beautiful red roses, all tied with an elegant, wispy red organza bow. Go ahead and "Live, Love, Laugh"!